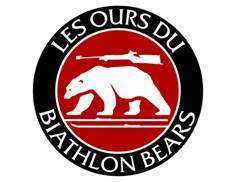 Biathlon Bears is a national program to introduce children from the ages of 8 to 14 to the sport of biathlon. Biathlon is the combination of marksmanship and Nordic skiing. True biathlon uses a highly modified .22 rifle which athletes carry around on their backs while skate skiing a set course. Distances vary based on the skier’s age but after each lap (4 in total), the athlete shoots 5 targets from a distance of 50m in either a standing or a prone position. Athletes must ski a 150m penalty lap per missed target. This makes for a very exciting race with the lead switching constantly. Biathlon Bears use air rifles and a 10m range, shooting from a prone (laying down) position. The skiers do not ski with the rifle, instead it is left at the shooting range. This program has 3 levels of achievement that the individuals strive to accomplish, in both skiing and marksmanship. To read more about our biathlon program, please read this introductory letter. To ensure you’re prepared to participate in our biathlon program, please read this checklist.